A tech company is only as successful as its customer support, and at Bark, we have the very best. They’re fluent in not only setting up Bark on Androids and iPhones, but also troubleshooting Snapchat, Gmail, Instagram, iMessage, and all of the other social media platforms popular with kids today. Parents can sometimes be at a disadvantage when it comes to understanding the tech their kids use, but we’re always here to help. 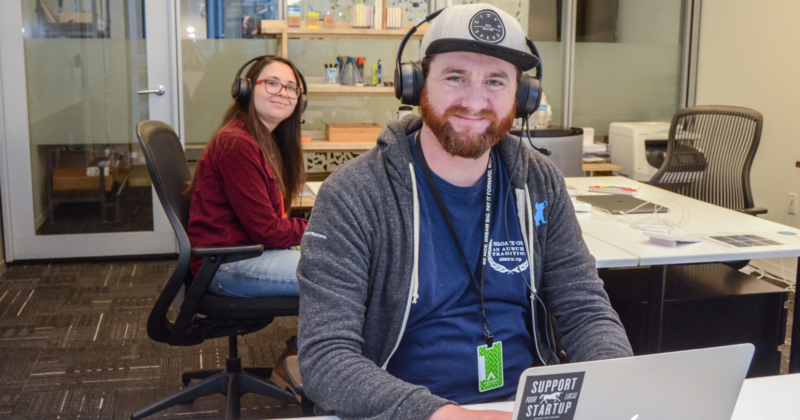 This time last year, our team was just two people taking calls in the basement of Atlanta Tech Village. But as Bark has grown to help protect nearly 3 million kids, so too has our support team. Today, 10 hard-working folks across every time zone stay busy behind the scenes helping Bark families get the most out of our app (and more!). 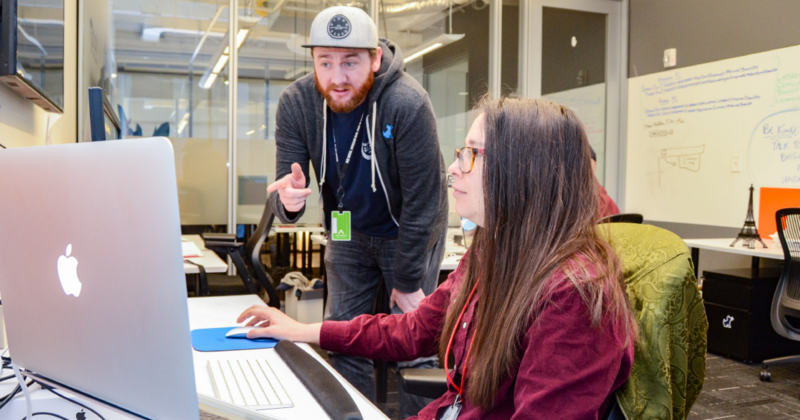 From helping with set-up and answering questions to troubleshooting apps and listening to YouTube woes, our team is here to make a difference. How are Bark customers different from regular tech support customers? Bri: Often, there’s a level of trust and transparency that you can’t get with say, a cable provider. When a parent calls and says, “I got an alert that my child is talking about suicide. What does this mean?” we respond with full empathy and understanding, along with zero judgment. These are serious issues with real-world consequences, and you realize that when you’re listening to a worried parent on the other line. 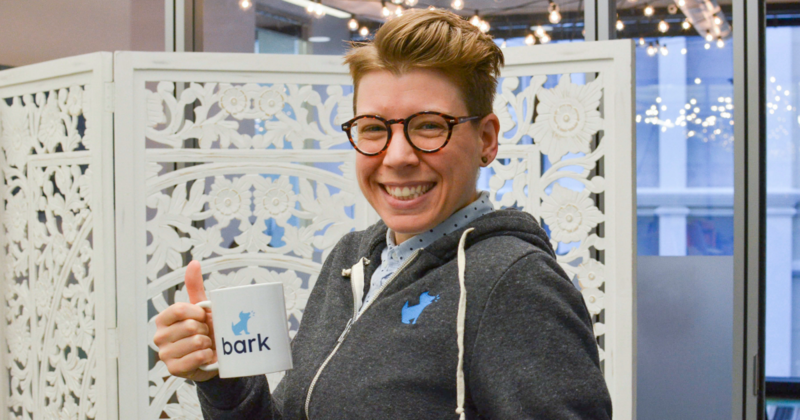 Leslie: Bark customers are parents, and more importantly, they are part of our Bark family. We view them as a part of a community with a shared goal: to protect children. In that sense, we approach them with the same attention and care that we would our own families. As a mom myself, I am often honored to be able to help parents empower themselves to keep their children safer in today’s world. Before working for Bark, I struggled with understanding social media and methods to teach and monitor my children online. After all, we didn’t grow up with this stuff! After experiencing a personal tragedy with my own child, it is so wonderful to be able to help families avoid those experiences through the work we do. Kaden: Our customers are different from a regular help desk’s customers because they are looking for a solution to a problem that’s threatening the most important thing on the planet to them: their children. They’re not looking to get their router working or troubleshoot their internet connectivity. Jodie: To me, I think our families differ from a typical help desk’s clientele because they aren’t seeking help with a product. They are seeking help with protecting their family. Our parents and guardians come from all walks of life with very different and individual reasons for needing help in monitoring their children’s online activities. I am fortunate enough that some of them share their personal stories and testimonies with me. It makes me so happy and proud to know that we aren’t just selling a product — we are truly helping kids. Paola: The people I’m interacting while on support calls aren’t just the parents — it’s the children, too. What makes Bark unique is that it makes the child a direct participant in their online safety. I have had kids ask me equally insightful questions as their parents about appropriate behavior online, the impact of technology on their social relationships, and more because they’re also learning and adapting to a tech world. How does the CS team go above and beyond to help Bark families? Bri: When we talk to people, we want them to walk away feeling 100% satisfied with the help we gave them — otherwise, the product may not work correctly, the app may remain confusing, or they themselves may remain frustrated. Also, they may not receive alerts! That’s a huge concern and one that we absolutely have to fix. One thing I say a lot (half-joking, but half-not): We’re not doctors, but we help save lives. In this same vein, people sometimes ask us why we don’t have an inbound call line. The answer is not that we don’t want to field calls or don’t care — nothing could be further from the truth. Instead of having an open phone line to the team, we offer guaranteed 45-minute time slots where you can schedule (at your convenience) one-on-one chats with one of our team members. This allows us time to drill down and figure out what’s up. Every family is different — as is their relationship with technology — and these extended calls give us the time to help in the most meaningful way. Leslie: We don’t just stop helping at the Bark product — we are here to support parents in any way possible! That is something I am so proud of our team for doing. We genuinely think about potential solutions to problems that parents are facing and do our best to find the resources to help. Kaden: I aim to leave every person I talk to with their question or problem fully resolved! I also aim to end every call/interaction with a delighted customer and leave them (hopefully!) smiling. To help ensure they stay engaged with us, we encourage callers to join Parenting in a Tech World, our Facebook group. If they’re local to Atlanta, we’ll invite them to one of our Parent Nights, too. Jodie: As Bark’s Online Community Manager, I’ve developed close online relationships and dialogues with several of our Parenting in a Tech World community members. I do whatever it takes to ensure our customer and member’s needs are heard and being met. I am the connection between our community and our company. I can be reached within minutes with a PM or tag in our Facebook Group, and respond as quickly as I can. Paola: I ask to send them a delightful package during every call! This month it has included hot chocolate, a Bark mug, candy, and stickers in addition to a hand-written note. We’re also sending out board games to encourage a friendly round of Pictionary for a family game night. Our Delights are one of the ways we make people know they’re valued and part of the Bark family. How do you cultivate ongoing empathy with families? Bri: We always remember that we are dealing with families, parents, and guardians of all ages and levels of tech familiarity — from grandparents in their 60s to foster parents in their 40s to young mothers in their 20s. This means we have to be able to meet people where they are, no matter where they’re coming from. We have even had one parent who was having difficulty connecting accounts because she was dyslexic, so we screen shared and helped type for her. Leslie: I’m a mother of three beautiful children, and I value them above anything else in life. When my daughter was younger, she was the victim of grooming online that led to sexual assault. You cannot imagine the guilt I felt. But like many parents, I did not know what was happening until it was too late. I know firsthand the fear, worry, and helplessness that comes along with handing our children digital devices, and I will stop at nothing to try and help any family I connect with from experiencing that trauma. Kaden: Whenever I am interacting with a Bark user, I always try to put myself in their shoes. Although I’m not a parent myself, I’m an uncle to over 10 nieces and nephews. Knowing the dangers that exist inside of the apps and platforms that children have access to today, I always think of my nieces and nephews and how they are trying to navigate through the same issues and concerns that our users’ children are facing. Jodie: For me, empathy comes pretty naturally. I’m a mom. I get it! I have two tweens in the throes of puberty and middle school myself. I also use Bark to help keep an eye on my own children. While I thought I had it all covered myself, Bark has given me an alert or two which has brought about some awkward family discussions and improvements to follow. I understand how they’re feeling, because I’ve been there, too. I’ve also been the mom, praying to the Wi-Fi gods at 11:30 p.m or holding for a support call while cursing technology under my breath. Paola: Honestly, that was my biggest concern at first when starting out. I am 24 years old and have no children, but I grew up in the same tech world, and I relate to the kids more than I do the parents. This is how I empathize, as someone who had been experiencing cyberbullying, FOMO, unsolicited sexual content, and mental health issues that played themselves out in texts and social media growing up. My mom didn’t know the impact of the world out there at the time, and she gave me a lot of freedom. I had good grades and in their eyes was mature enough to be using the internet responsibly. But now I lament the loss of some key conversations and guidance I could have had if I had Bark around during that time. When you sign up for Bark, you’ll get the same level of customer service, too. Bark monitors emails, texts, and 24+ social media platforms for signs of cyberbullying, self-harm, suicidal ideations, online predators, and more. Sign up today free for one-week trial!